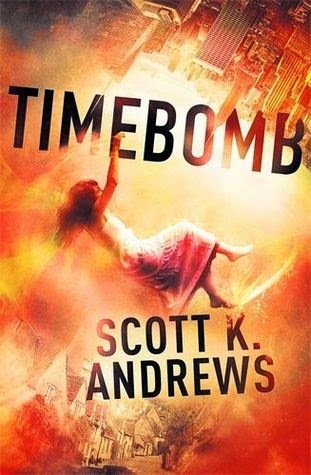 Scott K. Andrews’ Timebomb is a fun, fast-paced time-travelling adventure. I must admit it was with some trepidation that I began reading part one of the Timebomb trilogy: I expected the whole ‘time travelling’ thing to be a bit daft, but soon learned to suspend my disbelief and just roll with it. The story focuses on 3 likeable, yet different, teenage protagonists: there’s Kaz the impulsive Polish immigrant from 2013; Jana the reckless, rich American from 2141; and Dora, the innocent bumpkin from seventeenth century Cornwall. All 3 characters are likeable and intriguing, although the fast-paced plot doesn’t really give a lot of opportunities to explore them in depth. Andrews has taken a well-worn trope and adapted it to create the first book in a new and exciting series. I, for one, look forward to reading more. Timebomb will be published on 9th October 2014 by Hodder & Stoughton. Click here to view Timebomb on Amazon UK.